Designing the perfect park is not an easy job. From selecting playground equipment and furnishings to choosing landscape elements, there's a laundry list of to-dos to tackle. Our guide takes a look at current trends and offers a roadmap to make your site a standout. 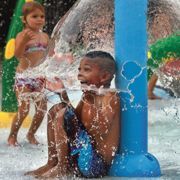 When you're looking for a simple solution to bring water play to a community, a splash play area can make a big impact. Learn more from some facilities that have found spaygrounds to be the perfect solution. When you want to lighten your impact on the earth, you can incorporate sustainable features into your facility. While LEED certification is a standard, it's not the only way to go green. 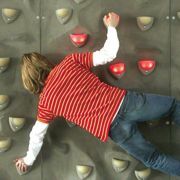 Climbing walls can bring a lot of excitement to a facility. We look at some of the basics to help you add climbing to your own space. 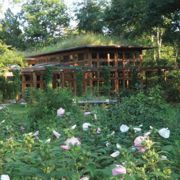 Parks can easily become places of natural respite for a community longing to reconnect with the earth. A little reworking of the site is all that's needed. Salt-water chlorine generators are growing in popularity, but if you're not careful, you might find mystery stains in your pool. Here, an expert explains why, and how to fix the problem.